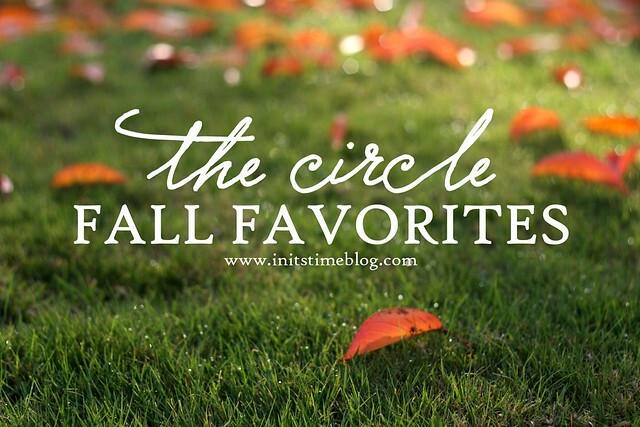 THE CIRCLE SEPTEMBER 2014 | FALL FAVES. Happy September, dear friends! I have a terrible time believing that it's already September, but I'm excited for all things fall. When I was a kid September always meant the start of school, but now September means new school supplies, new starts, and all things warm and cozy. But before I share my faves, I want to introduce you to this month's co-host. It sounds cliche to say, but this friend (and penpal!) has not only encouraged me, but taught me so much about what it means to be a follower of Christ and gracefilled single lady, too. She's awesome, to say the least. hey, y’all! i’m amber. 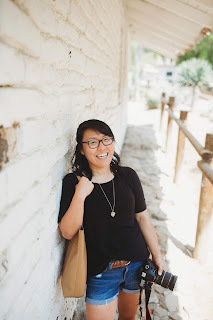 i am a small town oklahoma girl who loves Jesus, coffee, photography, and blogging. under the oklahoma sky is a place where i share what’s on my heart, daily happenings, and way too many photos of wildflowers. I was pumped to hear that Amber wanted to co-host the link-up with me. And even more pumped to hear that she's a fellow fall fanatic. So here's to fall and sharing our fall faves! I can't wait to check out all of your posts! 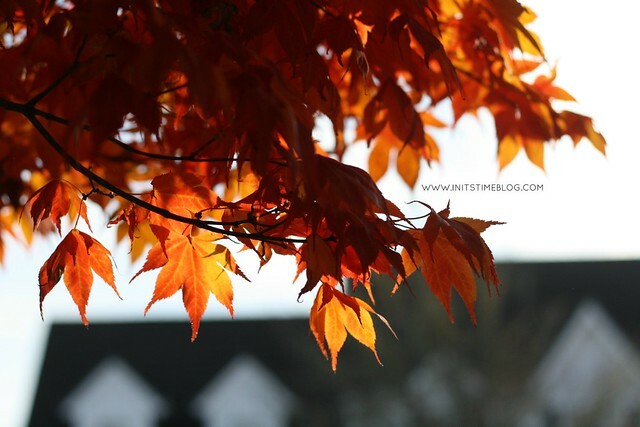 Sidenote: You'll notice that the photos in my post are very fall-ish. Well, it's definitely not fall-ish over here right now so I stole some photos from a post I did last year. Forgive me? 1. Favorite fall fashion/clothing item? I'm cheating, but I'm going to say three things because I don't play favorites. So cardigans, scarves, AND boots. Best outfit ever (well, that and some pants and a shirt). 2. Favorite fall drink? I'm all about apple cider. Not the spiced stuff, but the freshly squeezed bottles I get from the farmer's markets in town. The spiced warm cider is good, but the real cider is just like eating an apple but in liquid form. I just made it sound super yummy, right? 3. What's something on your fall bucket list? To go on morning hikes! When the fall weather cools down, there's something about the forest air that gets even fresher and crisper. And breathing in that cool air is exactly what I need on the weekends. 4. Favorite fall recipe? Ooh, that's a tough one. I don't really have a favorite fall recipe, but I realllllly love roasted vegetable pizza with feta sprinkled on top. It's a lot like this recipe, except we sprinkle feta on top instead of using ricotta and we often add a little bit of sausage on top, too. 5. Halloween candy or Pumpkin Spice Latte? If you know me and my distaste for coffee (gasp!) you know what I'm going to say. And while I love plain dark chocolate, I'm going to go with KitKat bars or Twix bars. Because sometimes life calls for an even sweeter piece of chocolate. 6. Favorite fall scent? I'm all about the smell of fall air. But I also love the smell of anything baking in the oven. Or some stuffing cooking, too. I'm alll about stuffing. 7. Favorite fall holiday? You could probably tell from my last answer, but I'm a Thanksgiving girl through and through. I mean, eating AND family AND a focus on gratitude? Yes, please. 8. What is fall (weather) like where you live? Well, it's been hot lately (think 90 degree weather!) but fall is usually a cooler, drier climate until the rain starts. And then it's rainy. So it's pretty much a little bit of everything. So what's fall like where you are? What are some of your fall faves? Write your post and link up below! Amber and I cannot wait to see what you have to share. Oh, and here's the list of the questions/prompts that we answered. As always, make your post your own and pick and choose which ones you write on (or you can even add a few of your own, too!). 1. Favorite fall fashion/clothing item? 3. What's something on your fall bucket list? 5. Halloween candy or Pumpkin Spice Latte? 8. What is fall (weather) like where you live? In case you're a planner like me, next month's topic and date has been decided and what better place to announce it than here? I'll be co-hosting a special book-themed post with a very special co-host where we'll share our favorite books of the year, what we just finished reading, what we're reading next, our favorite book(s) as a kid, and what book we'd take if left on a deserted island. The link-up will open on Wednesday, October 22nd and I can't wait to see you all then! Goodness, your fall photos are GORGEOUS. Inspiring me to get out there and practice more with my camera so I can capture such beauty. I think I definitely need to make that pizza (yes to feta! ), and I looove crisp fall mornings for hiking/running/walking too. Such a treat. Looking forward to the books-themed post next month!! I love the photos. I wouldn't know they were from an old post, as I'm a new reader ;) I'm excited to answer the questions! Woohoo!!! I love FALL! :) I made sure to post in time this month and not miss out on the link up so I posted today, haha!! So excited to see everyone's favorite fall things. I also was super happy to see Amber on your blog, love her to pieces! She will be guest posting on my blog next week while I am on vacation. I would also love to guest host with this fun circle sometime in the future, let me know what I need to do to make that happen. :) thanks for the great link up!! MMMM apple cider. YES. seriously = YES! i want to go on your morning hikes! i am still shocked you don't like coffee! hahha do you like the smell?! eep i love your picture too! You have a fun list going. I think my favorite thing from your list is the cider from the farmers market. It sounds sooo good. We are traveling for then next month and i love visiting local markets so I'll have to keep my eye out for that. Thanks for hosting a fun linkup! yay! I love your list! It's almost just like mine! :) stuffing yes!! I used to hate it growing up, but have come to really like it! Well, I didn't get on the ball enough to link up for this one. I blame South Dakota. BUT I am all over next month's theme. I cannot even tell you. Love the heck out of it. I don't really like the spiced apple juice cider, but I loooove hot apple cider. Mmm. My favorite fall food are the cranberry orange muffins from Panera. They are seasonal, and every fall I just die. They are so stinkin' good. yes to cardigans, scarves and boots. Love them! I agree! thanksgiving is the best! My favorite fall fashion would be a tie between knee socks and scarves. Technically I wear both in the winter too, but fall is when you can actually see them, since they're not tucked under my coat and jeans. It's been a beautiful week so far, with lows in the 40s/50s and highs in the 70s. Perfection! But get ready for a lot of bitter complaining in November or December about the neverending gray winter. mmmm..... apple pie baking in the oven IS a good fall smell!!! Love those fall photos. Can't wait for the leaves to start changing around here!! Isn't it exciting? I think Thanksgiving is one of my favorites too - we usually stay in Atlanta for the holiday, and when we do, we have some of the grad students my husband goes to school with join us. They're usually too far from home, or from a different country, so their either missing family, or eager to learn about an American tradition. It's a wonderful experience! Thanks, Anne! They're all from last year and seeing them makes me hope that I'll be able to take more like them this year. There really is so much beauty out there! And yes to feta!! I wasn't always a fan but now I love adding it to different things. What do you add/use it with? And I would love to co-host with you sometime! My next opening isn't until June of next year but I'll totally save it for ya if you'd like!! Um, come visit and we can go hiking together!! I'm hoping to go this weekend and just enjoy the dry weather before it gets (and stays) wet for a loooong time. And how do you like the cauliflower crust? I've seen it all over online and it sounds like a lot of fun to try! And I don't like coffee! I'm not actually a huge fan of the smell, either. But I LOVE coffee shops and the cozy feel to them so I'm all about meeting up for coffee dates, even if I end up getting something to eat instead. p.s. Thanks! That photo is from last year and seeing it makes me wonder how I ever took those photos, haha. 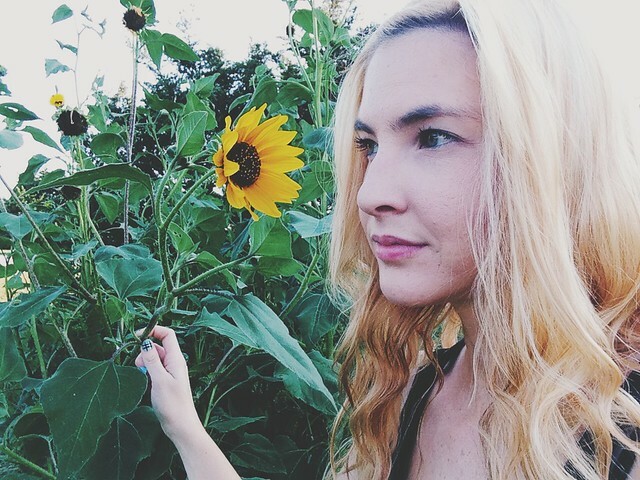 Thanks for linking up, Beka! I'm so excited you joined us this month! 80 degree weather? I actually had warm weather last week but this week has cooled wayyy down and it even rained. Apple cider sounds so good right now! I love that we have so much in common! :) And I didn't used to like stuffing, either! Now it's my favorite part of Thanksgiving! Haha, yeah, I guess we can be friends. :) I mean, I LOVE coffee shops, but am just not a coffee fan. And I can't wait to read your post! I love that you're sharing them on The Quiet Place, too. It's really cool to get that mix of posts over there! p.s. We haven't Skyped yet! I'm kinda crazy again this weekend, but maybe sometime verrry soon?! That's really cool that you host grad students for Thanksgiving! That makes it even more special and it's really cool that you not only introduce them to this American holiday but that you host and open your home up to them, too! Hi Ashley! Nice to meet ya! :) I'm so excited to check out your blog as well and I hope you get a chance to link up! I guess i can let you slide on that one. lol! YESSSSSSSSSS hiking sounds so fantastic. and i really like the cauliflower crust. i will say this - it is messy and doesn't hold well. but the taste is wonderful! Hiking is always fantastic. And it's been rainy these past few days now and it makes me that much happier that I got a chance to go this weekend. And I'll have to try cauliflower crust! I've heard that it doesn't stay together too well but the taste sounds so intriguing!! Absolutely lovvvve this! I'm also a Thanksgiving girl, too. It's probably my favorite holiday (besides Christmas) out of the entire year. It's such a FEEL GOOD holiday, ya know? Fall air is way better than summer air.